Verge was commissioned by solicitor George Allen to design Toxteth Park. 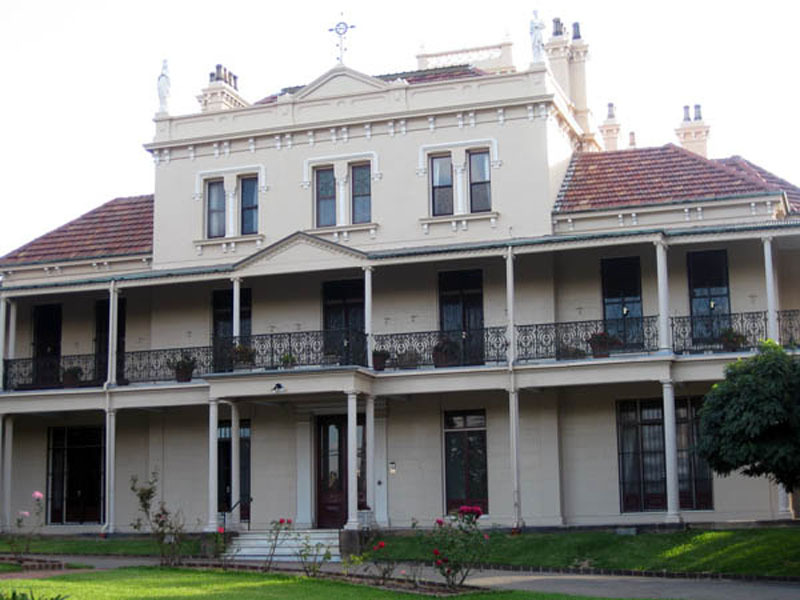 The house was an elegant white stone building consisting of a rectangular central block of two storeys with long verandahs around two of its sides supported by Doric columns of fluted iron. The main elevation with its plain Georgian front had long shuttered French windows, planned to give wide views of the park lands and cultivated shrubberies, planted with oaks, firs and pines. In order to find the characteristics of restraint and harmonious proportions with which Verge imbued his buildings, the viewer will need to mentally “remove” the subsequent accretions of a third storey to the central block, a tower and various Victorian embellishments as well as the brick Chapel on the left hand side and re-set the house in its original 96 acres! George Allen (of Toxteth Park) during his lifetime had acquired 96 acres of the Glebe lands. Allen and his son died within four years of each other and it was at this time that the estate began to be broken up.